We have a range of garden tools from Spear & Jackson, Wolf Garten, Bahco, Felco and Griffin, amongst others, to help you in your garden. Remember too that we have outdoor clothing, work wear and safety clothing should you require it. Just visit the garden tools shop in any of our stores for a huge choice of garden tools and expert advice to help you choose. 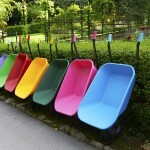 Well respected, Spear & Jackson garden tools are synonymous with great quality, design, choice and value for money. The varied ranges of Spear & Jackson garden tools for digging, cultivating and cutting, as well as garden accessories, will appeal to all levels of gardening ability and expertise by combining the best of traditional and modern materials with the latest manufacturing technology and design to produce superb products at affordable prices. Within the Spear & Jackson ranges are trowels, weeding forks, hoes, shears, forks and spades. The foundations of Spear & Jackson were laid in 1760 in Sheffield, and they have been perfecting their range of garden tools for over 250 years. The Neverbend range of spades and forks are made from solid forged carbon steel for extra strength. Spade and fork heads are finished with an epoxy coating to provide resistance to rust, scratches, moisture and alkalinity in the soil. Shafts are made of weatherproofed hardwood for increased durability. And for those who appreciate lighter garden tools, the Spear & Jackson Litework range is up to 24% lighter than standard tools. 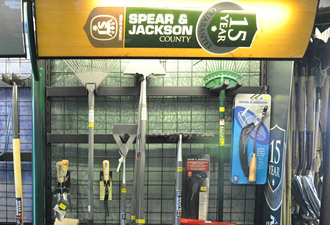 Visit our garden tools shop in-store for a complete range of Spear & Jackson tools. 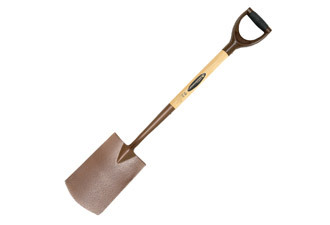 The Wolf Garten brand has been making superior quality garden tools for 80 years, ever since August Wolf created a drag hoe in order to make field work easier for farmers. 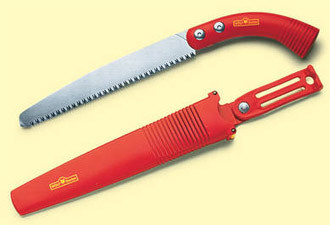 Nowadays, Wolf Garten, with its distinctive red and yellow logo is one of the largest manufacturers of garden tools in Europe, and one of the most popular brands within our garden tools shop. 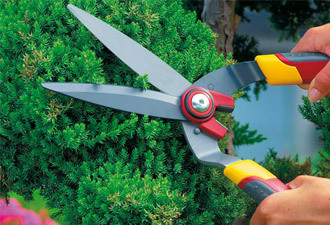 We stock a large range of garden tools for tree care and maintenance including axes, pruning saws, secateurs, bowsaws, log splitters, saw horses, ladders, loppers and brooms. Wood grenade log splitter, hatchets, Silky saws, Felco secateurs, Portek saw horse and tripod ladders. Stiff yard brooms, safety clothing and safety boots complete the picture. View our complete range and talk to one of our knowledgeable staff at our in-store garden tool shops. Our range of garden tools is available in all of our stores, in the counties of Suffolk, Norfolk, Essex, Cambridgeshire, Kent, East Sussex, West Sussex, Surrey and Hertfordshire.